Yesterday, biotechnology company Amarantus BioScience Holdings, Inc. ( AMBS-OTC) announced that the clinical trial results of its Phase 2a study of eltoprazine to treat Parkinson’s disease levodopa-induced dyskinesias (PD-LID) would be published in an upcoming print edition of Brain: A Journal of Neurology. Amarantus Acquires Specialized Neuro-Diagnostics Company, DioGenix, Inc. Since the publication of our Executive Informational Overview® (EIO) on Amarantus BioScience Holdings, Inc. (AMBS-OTC) in early September 2014, the company has advanced development of each of its three lead programs. Amarantus published data from a 72-patient study of the LymPro Test® demonstrating the test’s accuracy at identifying patients with moderate-to-severe Alzheimer's Disease versus healthy controls, completed enrollment of an expanded 140-patient study of LymPro for which results are expected by mid-December 2014, submitted its Phase 2b trial design for Eltoprazine in Parkinson's Disease Levodopa-Induced Dyskinesia to the FDA for review and written feedback, and submitted an Orphan Drug application to the FDA for MANF in retinitis pigmentosa, a degenerative eye disease. By the end of 2014, Amarantus expects to be able to launch the LymPro Test® for research markets (Investigational Use Only), and believes it can use the data from the expanded 140-patient LymPro study in support of a broader product launch in 2015. On Monday, November 10, Amarantus Bioscience Holdings, Inc. started off the earnings week by reporting its third quarter 2014 (ended September 30) financial results. The company also recapped its milestones, updated investors on its product development status, and teased a potential new acquisition for the coming weeks. Lastly, the company also announced a strategic financing agreement with Dominion Capital that raises $3 million for Amarantus and extinguishes a prior promissory note held by Dominion. 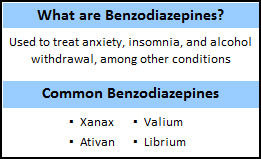 A new clinical study published Tuesday in the British Medical Journal, identified a possible link between long-term use of benzodiazepines and Alzheimer's disease. Researchers examined close to 1,800 Alzheimer's patients who had at least six years of medical data and who had used benzodiazepines at least five years before their Alzheimer's diagnosis, and compared these cases to over 7,100 control patients. All medical records used in the study were from patients over 66 years of age. Today, Crystal Research Associates has issued a 76-page Executive Informational Overview® (EIO) on California biopharmaceutical company Amarantus BioScience Holdings, Inc. (AMBS-OTC). The EIO details the Company's pipeline development, business model, growth strategies, market opportunities, potential milestones, competitive landscape, financial position, business risks, and more. It is available for download on our website here. A summary of Amarantus' 12 competitive advantages in its target diagnostics and therapeutics fields is available here: Amarantus' Key Points.